Berchtesgaden is a small town within the German Bavarian Alps, located in the south province of Berchtesgaden Land in Bavaria which is a municipality. Berchtesgaden is also close to the Austria Border an Salzburg City is only about 33km from Berchtesgaden. Berchtesgaden is famous for its mountains. The Berchtesgaden is located between 500 and 1,100 meters in altitude in the German Alps and is bounded by the Untersberg Mountains on the northern side. To the eastern side lies Obersalzberg (place where several Nazi Relics were found) and to the southern side is Watzmann, the third largest mountain in Germany. Kehlsteinhaus, known as the “Eagle’s nest” is located at a height of 1834 meters above Berchtesgaden. The Kehlsteinhaus was built marking the 50th birthday of Hitler. It has great scenic beauty from the top, but the only way to reach it is by public transport. Konigsee Lake is about 3 miles from the Berchtesgaden. Konigsee Lake is the major attraction here, and is bounded by the mountains at a height of 2000 meters above the lake level. During the Summer, boat rides along the lake and mountaineering are special attractions. Jenner Mountain is located to the east of Konigsee. The best and easiest way to reach Jenner Mountain is through the cable cars, where the beauty of the Berchtesgaden valley can be viewed. Rossfeld is about 3 miles from the Berchtesgaden and is situated at a height of 1600 meters. An amazing view of the sunshine and clouds touching the mountains can be viewed there. For these reasons, Rossfeld has become a major tourist spot, and various restaurants are located there that serve the local food at a reasonable price. The only way to reach Rossfeld is through the bus. 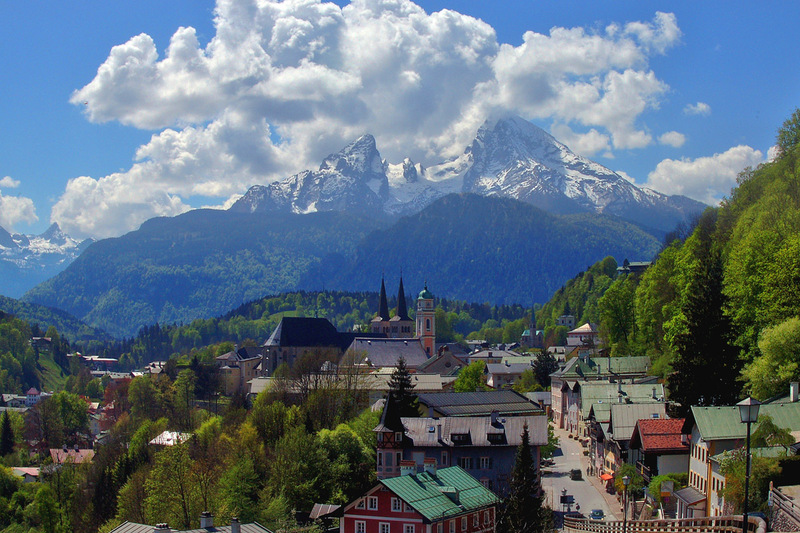 The Obersalzberg is famous for the relics belonging to the Nazi era. The only way to reach Obersalzberg is through the cable cars. Munich International Airport is the nearest airport and it is connected to places all over the world. Berchtesgaden has a railway station and there are frequent train services from Frankfurt and Munich. Traveling by road is also a good option. There are a number of bus services and cars are also available for rental purposes. Berchtesgaden Germany: great nature and a lot of history. Germanys best travel destination! Man its soo beatuilful, one day im going to live there!! I lived in Berchtesgaden from 1982 to 1997and it was so beautiful!!! I was so blessed!!! !